Disposable Blanket, warm and comfortable, ideal for single or double beds, 140 x 220 cm (5' x 7'). These disposable blankets are a quick, practical and hygienic solution to the ongoing costs of laundering bedlinen. Perfect for hotels, motels, hostels, inns, B&Bs, day care centres and unexpected visits from friends, they are made of a hypo-allergenic, lightweight material which still keeps the user warm and cosy. Weighing only 700g (less than 1.5 lbs), the blanket is large enough for either a single or a double bed. They come individually packaged for easy distribution and perfect hygiene. Practical and inexpensive, these blankets can be used for up to a month, then recycled or thrown away; they are not intended to be laundered, as they are easy and economical to replace and fully recyclable, so you can do your part to save the environment and cut your overheads at the same time by reducing your water, energy and labour costs. There is no chemical or plastic smell so your guests are sure to enjoy a wonderful night's sleep. 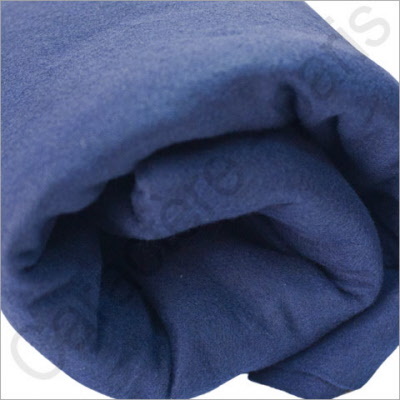 The blankets come in dark blue and are sized 140 x 220cm (5 x 7ft). They are treated with a fire retardant to prevent accidents, but we don't advise smoking in bed for your own health and for the safety of your establishment. Delivery within the UK: 48/72 hours. The best eCommerce software by ShopFactory powers P75. All-in one eCommerce and shopping cart software.